Managing the status quo is no longer effective. Digital transformation and technology adoption are likely to be the top priorities of every progressive business in most industries. Enterprises willing to make an impact on customers must leverage the opportunities that emerging technologies present in this modern world. The financial industry has been on par with the pace of technology. The industry has always been the forerunner in adopting the latest trends. However, the implementation has remained slower than expected. Right people to implement the right technology could be a major barrier to their digital transformation. That said, there is always a scope of evolving and bring advanced solutions to the table. While the process of tech upgradation in modern financial services might not occur overnight, here are four (4) ways banks and financial institutions can commence their digital journey. Blockchain holds great capabilities in terms of offering financial services. Not just cryptocurrencies or payment, the technology hold much more promise being an immutable and secure network to store anything that has value. Blockchain technology essentially allows for safe and secure trading of almost anything—be it money, copyrights, or royalty — while also eliminating the need for middlemen needed to manage or facilitate transactions. Using blockchain as a secure, reliable, and distributed database for storing transactions. Cross-border transactions on blockchain for faster payments. Secure wallets that are encrypted and accounts with public and private keys for extra security. While technology ruling, people are constantly moving through different channels such as smartphones, tablets, and computers to interact with their banks. No bank or financial firm can offer great customer experience without being available at all the channels. Now many of us could say that bank apps and websites have been there since ages. However, their efficiency and functionalities they offer are still questionable. The kind of services these apps offer is limited and not flawless. Adopting an omnichannel approach can help banks and financial institutions to cater to a wide range of customers while opening new streams of revenue generation. Now every organization is becoming digitally intelligent; financial institutions have incorporated data analysis for deep customer insights and enhanced services. Leveraging data science and analytics banks can produce more insightful decisions leading to quicker and accurate decision-making. 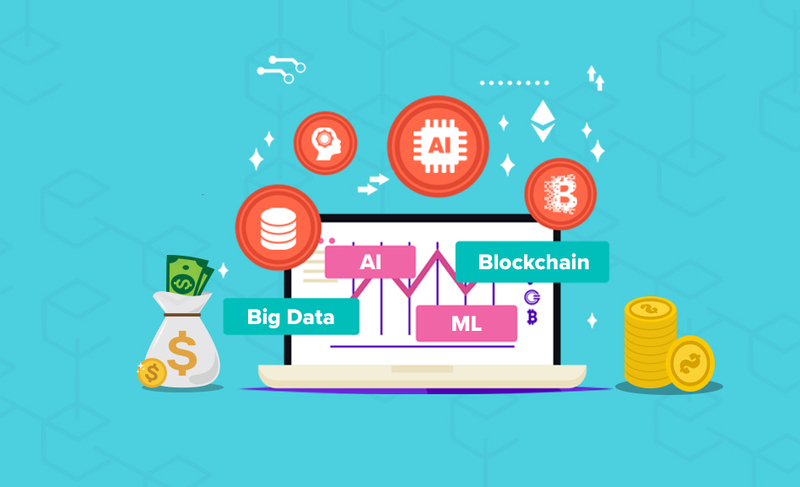 Traditional banks have a vast database that data science can consume to offer improved client experience which is quite difficult to achieve in this dynamic environment. Utilizing data and deeper analytics, businesses could process insights in real time, build and offer products and services that are more customer-centric. Also, businesses could constantly learn through data to sense, forecast and act on changing customer and market dynamics. Modern financial institutions will be able to access multiple sources of insights that will enable seamless banking services and digital customer experience. Combat frauds – With AI and ML, banks and financial institutions can effortlessly detect AML and unusual transactions preventing frauds and unlawful activities. Advanced data analytics – Businesses can easily process a huge amount of customer data identifying transaction patterns and financial requirements. AI and ML could offer a wider scope of customized services and quicker decisions. AI Chatbot – AI-powered chatbot could help businesses to interact with their customers without any human intervention. With the power of AI and ML, chatbots will be able to send accurate replies and improve customer relationships. Bank of America has its own AI-powered chatbot – “Erica” to assist customers financially.With such advantages, it is almost certain that most banks and financial services will incorporate artificial intelligence and machine learning to stay competitive in this dynamic market.